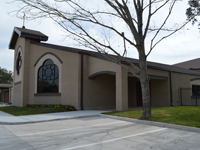 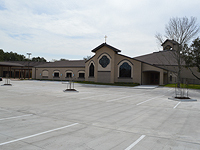 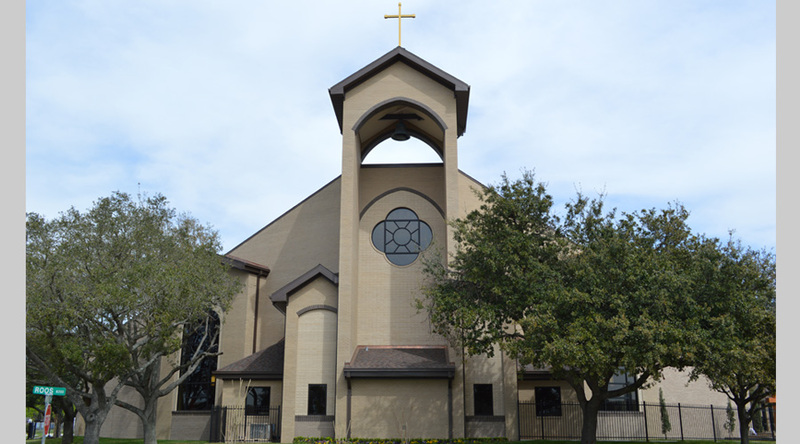 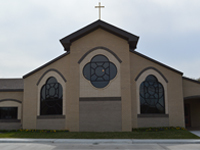 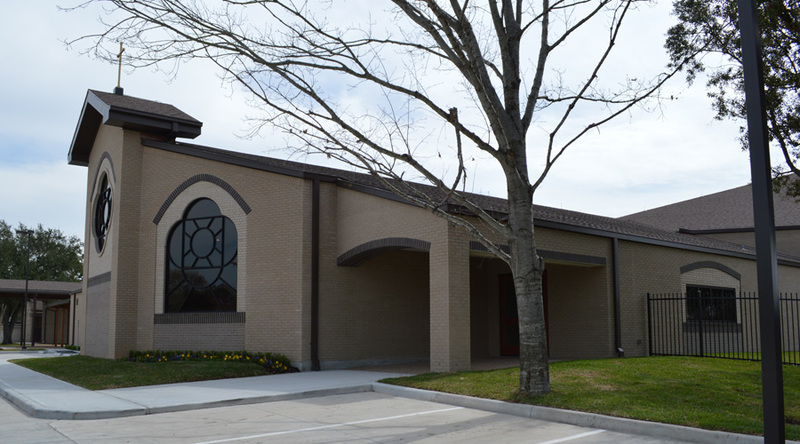 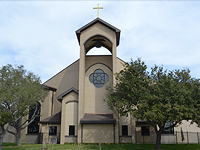 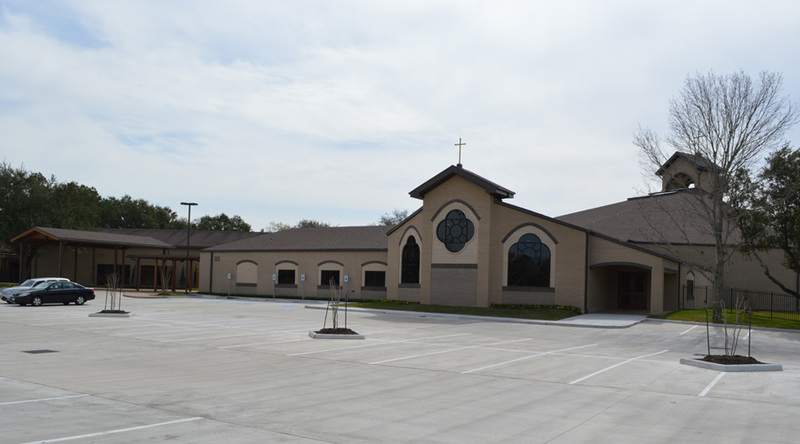 This expansion included a new 150-seat Liturgy Chapel, a new narthex, and a dozen additional accessory rooms. 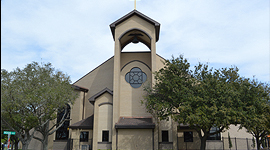 There was also expansion in the 870 seat nave, with a new bell tower and sanctuary rooms. 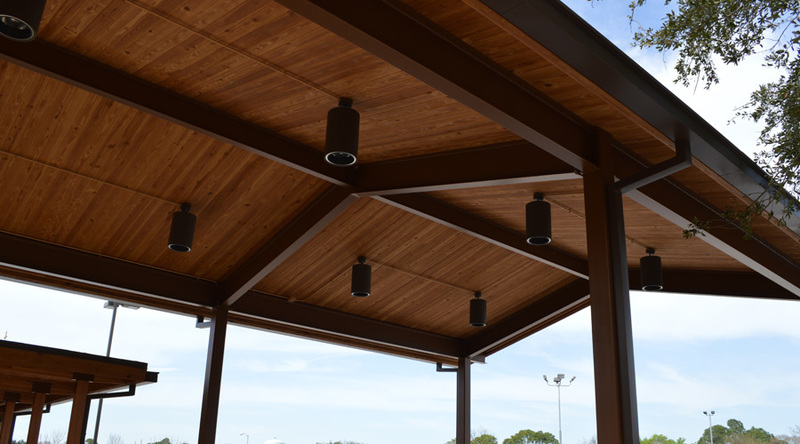 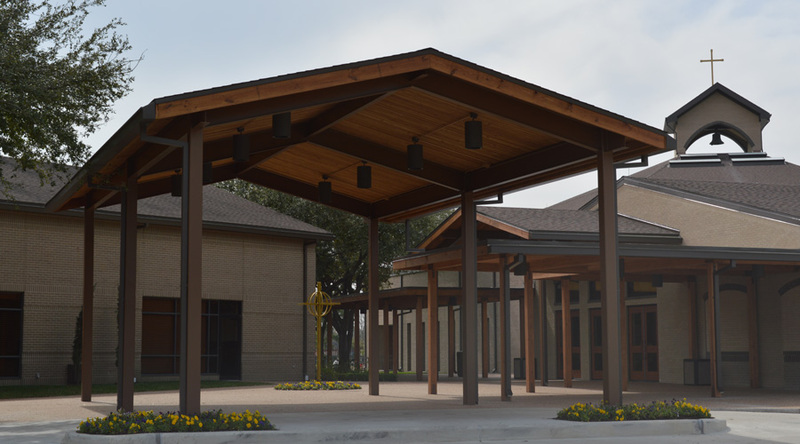 A 3,000 square foot canopy was added between the new narthex and the existing administration building, including a covered drop-off area. 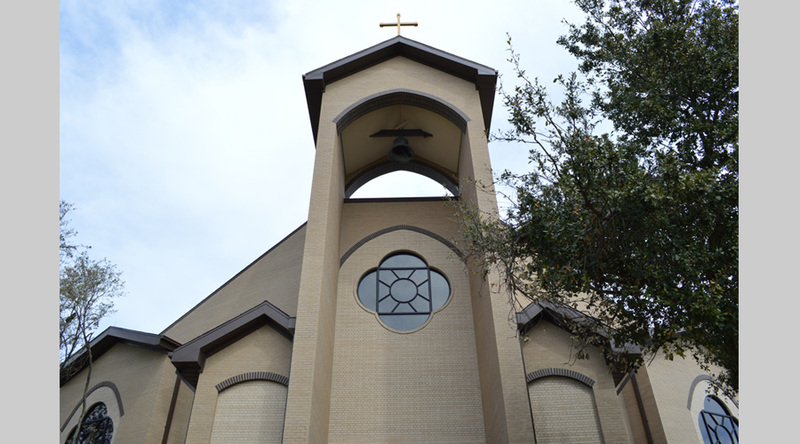 Half a dozen stained glass windows were added to the bell tower at the existing nave and the new Liturgy Chapel. 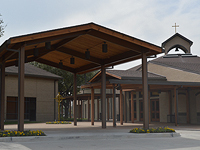 The design challenges associated with the new chapel and narthex stemmed from the multitude of roof slopes and limited locations for braced frames. 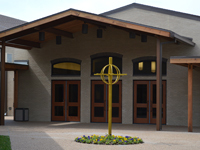 Bent beams were used to span both the chapel and narthex, with the chapel beams also designed as part of moment frame to reduce lateral building drift. 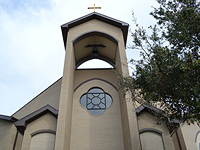 The most significant challenges were addressed during construction, as documentation of the existing building (40+ years old) was limited or inaccurate. 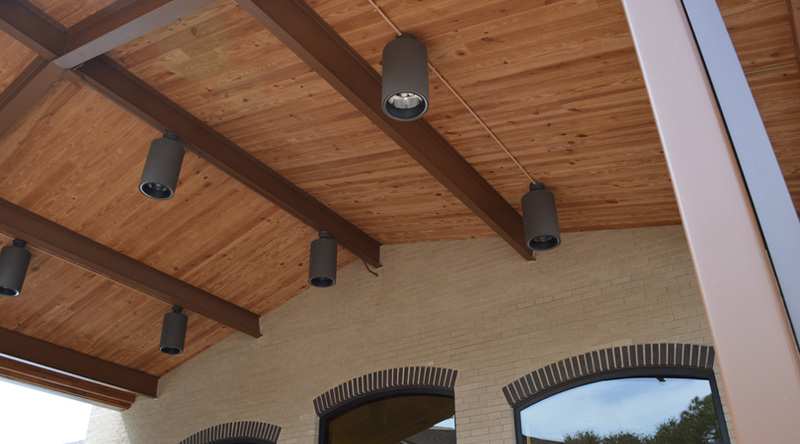 The connection between the new and existing structures required numerous site visits and close coordination with the architect and Brookstone General Contractors. 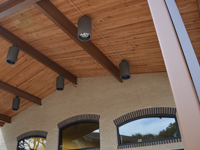 The structural system at this facility was structural steel and bar joists. 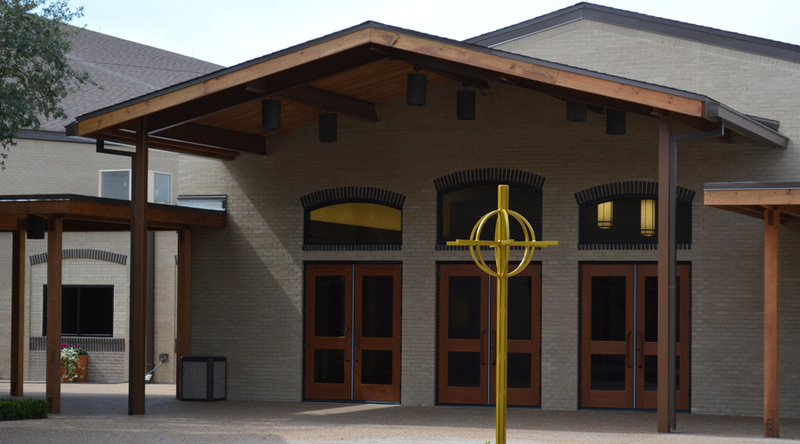 Composite floors were used at the RTU well between the existing nave and new narthex, and at the mechanical areas in the new bell tower. 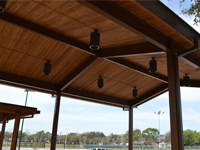 Moment frames and ‘x’-braces provide the lateral stability for the structure. 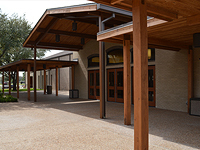 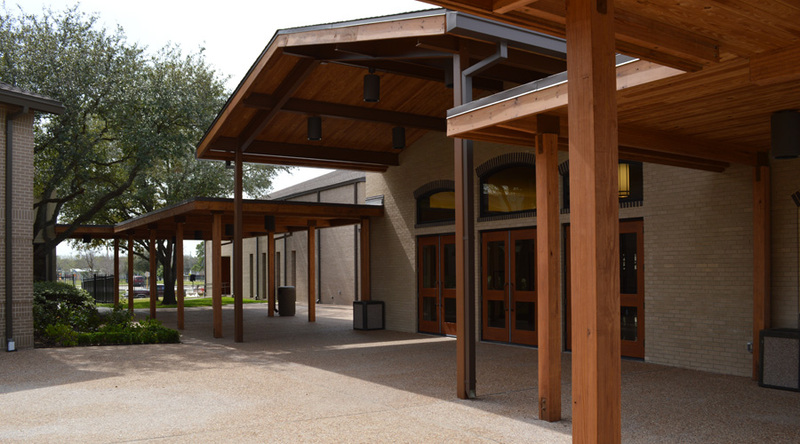 At the canopy, laminated wood beams and tongue-and-groove decks were used at the typical spans, with steel gabled moment frames providing the lateral support at the narthex entrance and the drop-off area. 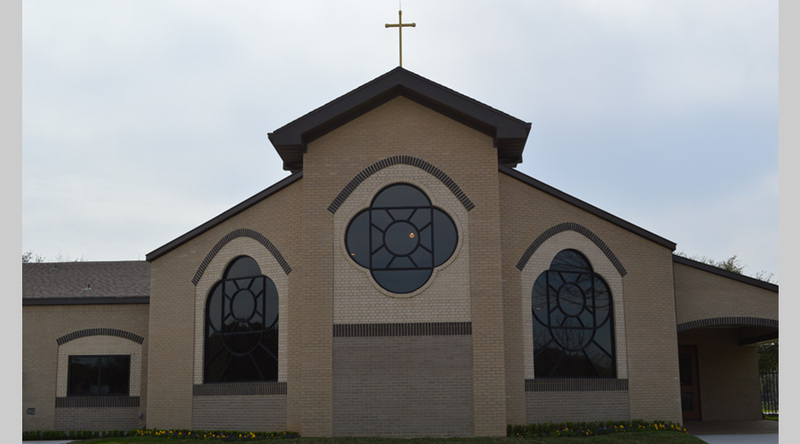 The building drift limits were held to strict tolerances to allow for full height brick in almost all locations.